Join the Collective on 14th June from 6-9pm for their launch party on our upper deck with DJs, complimentary drinks and a preview of the fine wares they’ll be selling during their 6 week pop-up. Or indeed for the closing party on the 11th July. 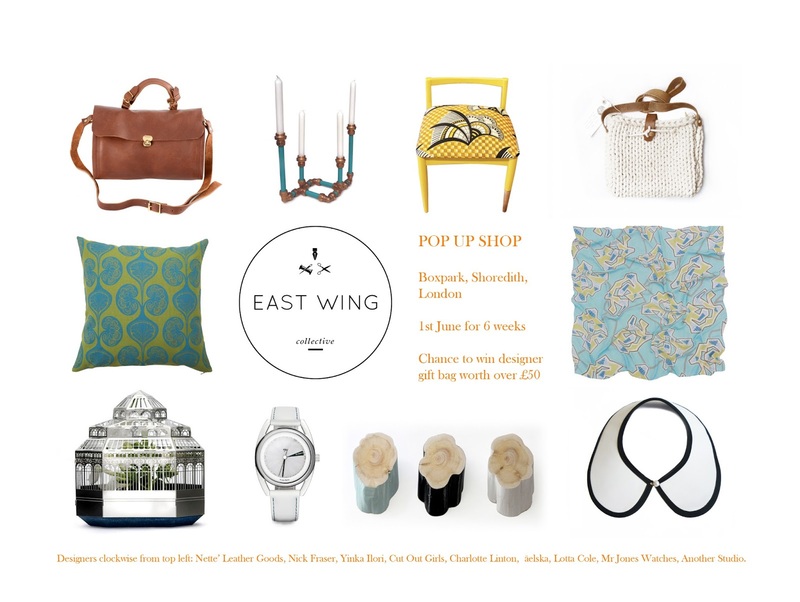 Customers can join their mailing list for the chance to win an exclusive East Wing Collective gift bag worth over £50 at the launch party: http://eastwingcollective.tumblr.com/mailinglist"